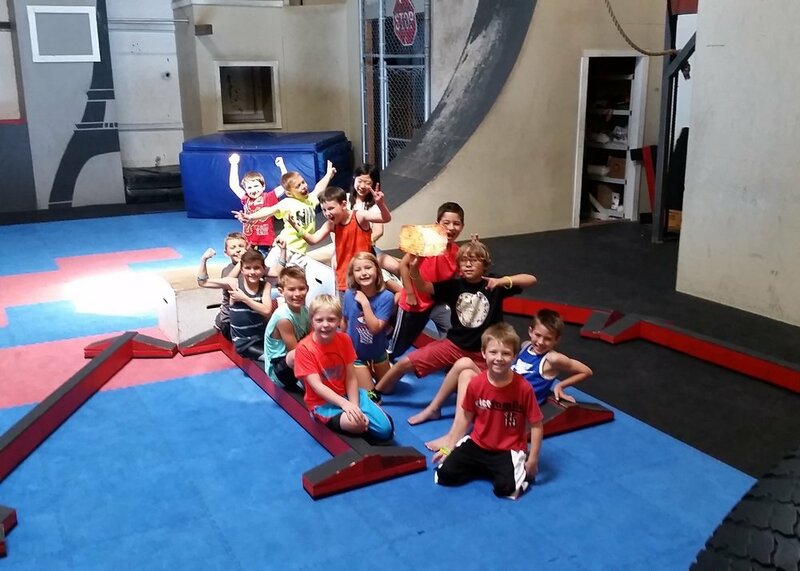 Revolution Parkour offers a wide variety of themed summer camps. Students know that they are going to have a great time, meet new friends and share epic stories. Parents know that their kids are in a safe environment, that their kids are going to be engaged, and will also learn important movement basics, team building and decision making. See below for details and to sign up for our our Summer Camps or if all of this is difficult to read click here for a printable schedule. Our number one priority is safety of our students. Revolution Parkour sets the standard for indoor camps in Oregon. 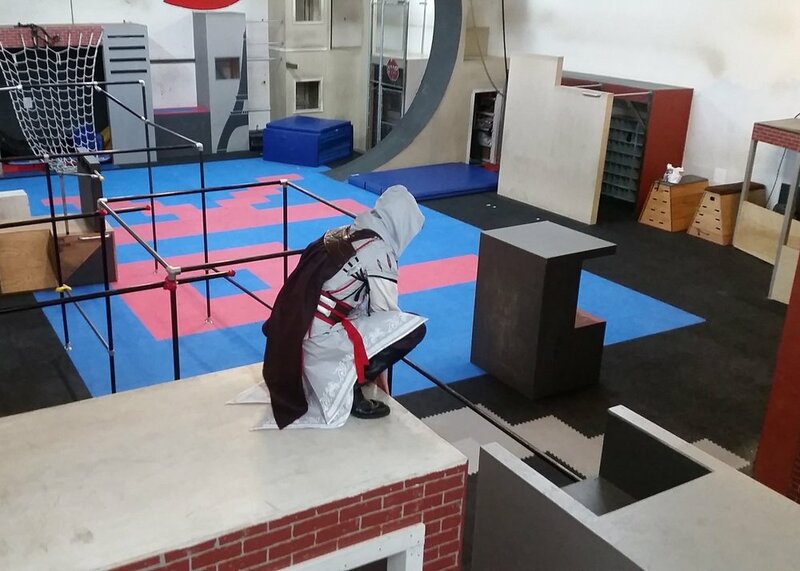 Many parkour gyms across the US look to us for best camp practices. All staff are First Aid, CPR and Basic First Aid certified and we have an AED on site. RVPK has a rich history of camps that are well documented, re-explored year after year to create new stories, plots, story continuations and the games we have! Our Book of Games is a massive volume of the most fun games in an obstacle dense environment. Excellent planning brings smiles all week! 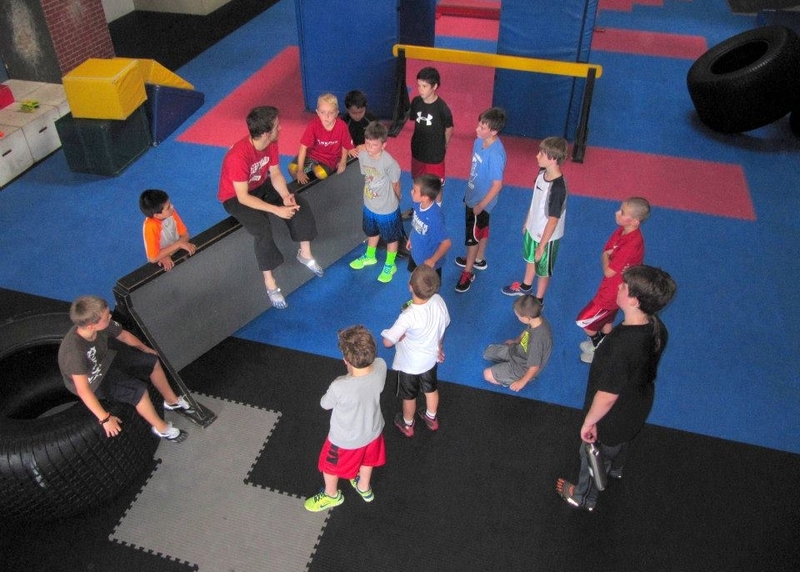 Experience teaching parkour offers the best skill building curriculum woven deeply into camp stories. A variety of activities make every camp day unique and fun. The changing environment also allows the camper to make use of their newly learned skill. All parkour camp instructors have been certified to teach parkour through our extensive certification. The majority of our staff are hired from within our students (including the one in photo, going the extra mile.) They have grown up in our encouraging and non-competitive environment. Many of our students are now instructors and lead the way in maturity, fun and upholding RVPK values. RVPK Campers return every year to meet new friends and relive adventures with old ones. Most of our camps have stories and activities that make teamwork vital to complete the mission, survive or to master the Jedi arts. There is about 15 minutes of down time at our camps. The rest of the time our camps are ACTION PACKED! We DO NOT offer day long camps where you do stuff for an hour and the rest of the time you're expected to entertain yourself. Not at our camps! 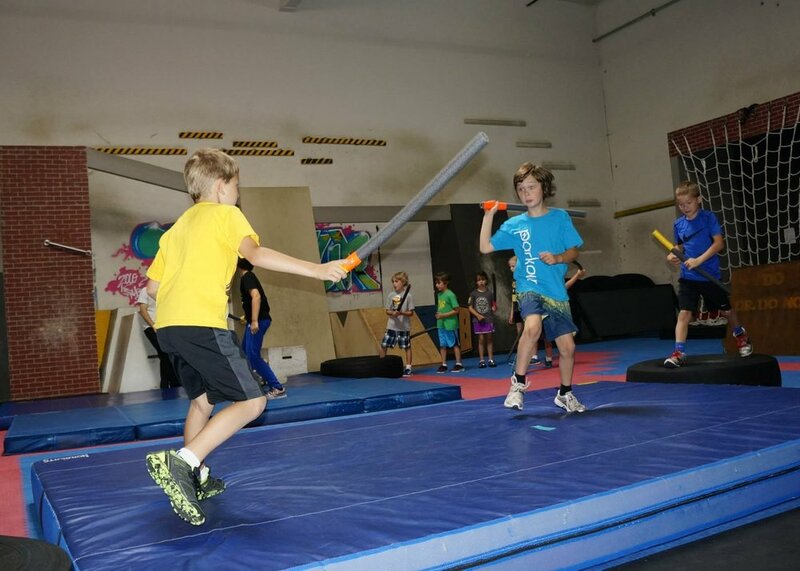 Our camps have you taking action even when you're preparing to take down a rancor or help Ezio chase down a messenger! Our suggestion is to start by checking the "Morning" box for ages 7-10, or the "Afternoon" box for ages 10-13 and ages 14-76. Students who are 10 can go to either the morning or afternoon camps. If the screen below is difficult to read then click here for our extended schedule and follow the tabs at the top of the new window to summer camps. Please note: We require that all students submit a signed waiver to the Revolution Parkour front office before attending any and all classes or events. Students that are under the age of 18 must have their waiver signed by a parent or legal guardian. We also offer amazing Camps during Spring Break, Summer Vacation, and Winter Breaks. Most of our camps are themed, vary in price and will be announced on our main page. Spring Camps are announced after the New Year. Summer Camps are announced after Spring Break. Winter Camps are announced after Thanksgiving.